elves and faeries … others dark and frightening, where ghosts and strange creatures lay in wait. Our sense of adventure became dulled and we lost something of the magic and mystery of our surroundings as we led much more hectic lives. The Journey recaptures some of that magic and sense of wonder in a lyrical tale woven through Mother Nature’s reality, where the narrator, and reader, choose what to see and believe within the unfolding mystery of the landscape. 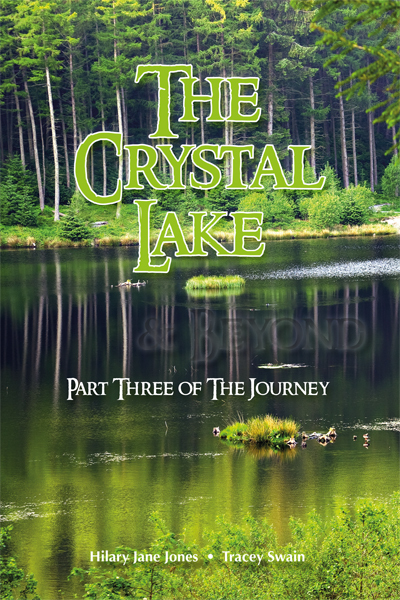 The Crystal Lake is the third and final part of an imaginary journey through real landscapes with hidden secrets. Take the reality of a beautiful, mystical landscape, weave in words that tease and tantalise the mind: the result can be magical. Imagination has no boundaries as you will soon discover when you follow the mysterious narrator across the deceptively beautiful waters of the crystal lake, through the dark and dangerous haunted vale, towards the elusive Mountains of Eternity that wait at the journey’s end … if indeed the journey ever ends! Words and images come together to bring to a conclusion the fantastical journey that started far away in The Wicked Wood. This entry was posted in Home and tagged Fairy Tale, Fantasy, Imagination, Mother Nature, mysterious worlds, Nature, Photography, Poetry, Shropshire, Verse. Bookmark the permalink.